After being in the car transport business for many years, we found out that most of customers really care about their cars. Owners of exotic or classic cars are even more concerned about the safety of their vehicle. We know that transporting rare cars requires extra care, and we go above and beyond to make sure that these vehicles are well taken care of during every step of the way. We know that owning an exotic car is a dream come true for many of our customers, and we do whatever it takes to make sure that their dream car is in safe hands. At Van 3 Auto Transport we only use the best drivers in order to ensure that every vehicle is in safe hands. When we put any vehicle on a trailer we make sure that it is in a safe position and we only use wheel straps. Most vehicle transportation companies tie vehicles down with chains, which can harm certain parts of a vehicle. We only use wheel straps to be absolutely positive that your vehicle will not incur any damage along the way. We are a company that is 100% insured and if anything ever goes wrong our clients will be fully covered. When your vehicle is delivered you will get a condition report from the driver. If you see that your vehicle was damaged during transport all you have to do is file a claim with our insurance and take pictures of the damage. When transporting a rare, expensive or classic vehicle it is recommended to use our Enclosed Car Transport Services. When a vehicle is in our enclosed trailer we can guarantee that your vehicle will arrive at its final destination in the same condition as it was picked up by our driver. Enclosed trailers are like having a garage on wheels! Your vehicle will be in a trailer that is enclosed from all sides just like a garage! If there is snow or rain during transport, not a single snowflake or raindrop will get to your vehicle. Most importantly, it will be safe from and rock chips or other hazards on the road that might be able to cause damage to your vehicle. We are a trusted name in the auto transport business and we only work with the best drivers. At Van 3 Auto Transport we want to keep our 100% customer satisfaction rate, therefore we only work with carriers who can get the job done right. 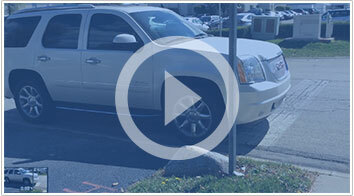 We only employ drivers who have years of experience in the vehicle transportation business. We make sure that every carrier that we work with is reliable and honest, because we know that to our customers these two qualities are very important. At Van 3 Auto Transport we take pride in the services that we provide for our clients. We make sure that they are completely satisfied with their car shipping experience, and we are always happy to get feedback. Our 100% customer satisfaction rate is our top priority and we are willing to go above and beyond to keep our customers satisfied with our service. Whether you have an exotic, retro, classic or any other type of vehicle, Van 3 Auto Transport is there to ship it to any point in the United States!